It was a cold rainy day of December 1966 in the thick green valley of Vallegrande, in central Bolivia. A group of missionaries en route to a church in nearby Vellegrande municipality, is stopped by a group of armed revolutionary rebels headed by a weak-looking man. Missionaries got stunned and feared harm from the group. The leader talked politely to them. Shocked were the missionaries to know that the leader of the group was Che Guevara, who was a fierce guerilla fighter and a rebel leader of Latin America. He met the missionaries with full respect and told them that his struggle was against CIA-backed regimes and not against civilians and that missionaries were free to go anywhere they wished to. This was 42-year-old Che Guevara at the time. He was later captured and executed in 1967 by a joint CIA-Bolivian Army operation. ‘No liberator can liberate people, people liberate themselves’, Guevara once said. Another rainy day of June 2016, in the valley of Kokarnag – Anantnag District – of Indian Occupied Kashmir, a 21-year-old leader of a group of freedom fighters, hears a rumour that forces of occupation are spreading news that his group is planning to carry out a series of activities against the Hindu pilgrims intending to travel to Indian Occupied Kashmir for Amarnath Yatra – a yearly holy visit performed at Amarnath Temple – in Anantnag. As the dates for the event were approaching, this young leader recorded a video message, which got viral on the internet. ‘We welcome you for your Amarnath Yatra. Our struggle of freedom is against the Indian forces. We are not against civilians of any religion coming to Kashmir for their pilgrimage’, he said. This young leader was Burhan Wani. Born in 1994 in Tral, Pulwama district of Kashmir, he turned to armed struggle against the occupation forces of India in 2010, at an early age of 16. With use of social media, he communicated with masses and became a well-known face of resistance. He openly announced his acts of defiance against the occupation forces. ‘Kashmir belongs to Kashmiris; we are fighting for our basic right of freedom and self-determination’, he maintained in his video messages. Anantnag Yatra was to commence in mid-July, but this freedom fighter gave his life for the cause of freedom of his people on July 8, 2016. He and his two associates, fought valiantly against scores of Indian commandos for four long hours. Battle ended as all three freedom fighters embraced martyrdom while fighting. This freedom fighter’s martyrdom initiated a ‘new intifada’ in Indian Occupied Kashmir. One man’s terrorist is another man’s ‘Burhan Wani’! Though Indian media portrayed Burhan Wani as a terrorist – same as Che Guevara of Latin America was declared terrorist by western media – but both the names would never die. Burhan Wani would remain a symbol of resistance for the Kashmiri youth, same as Che Guevara is a symbol of resistance for the youth all over the world. 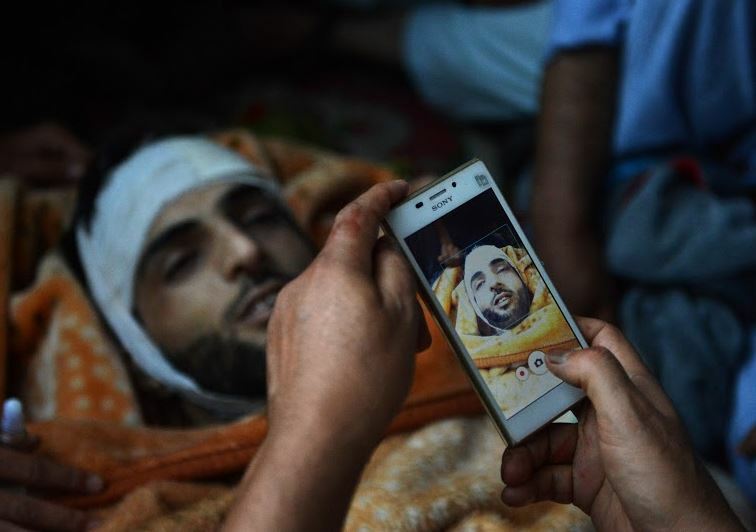 Like in Indian Occupied Kashmir, the first martyrdom anniversary of famous youth resistance leader, Burhan Muzaffar Wani would be observed here today (Saturday) to pay tributes to the freedom fighter, who introduced new trends to fight against Indian occupation. The All Parties Hurriyat Conference (APHC), Azad Jammu and Kashmir (AJK)-Chapter and other organizations have finalized their programmes to mark the day, renewing the pledge to continue their struggle for Kashmiris’ legitimate right to self-determination.